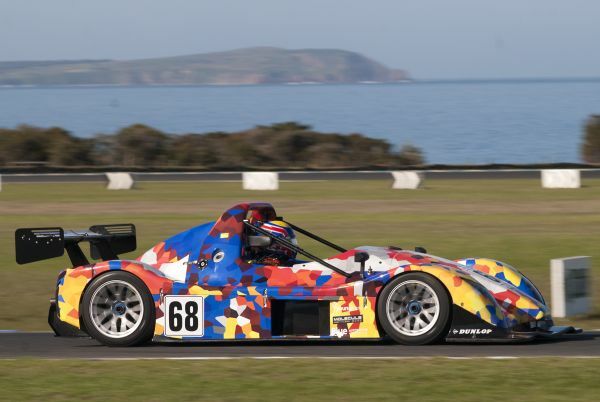 The 2018 Radical Australia Cup is at the mid-point of the season coming into Phillip Island this weekend, an event that has traditionally had an impact on the status quo in the championship. 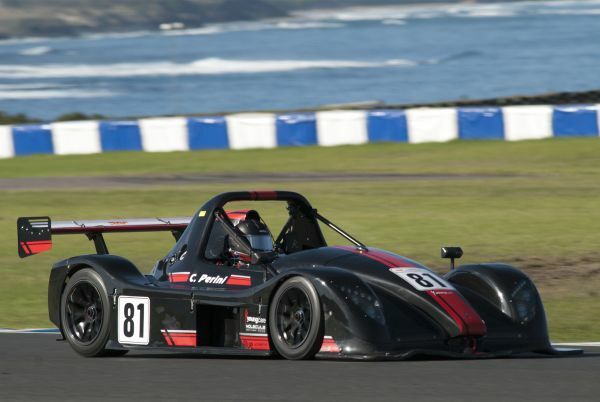 Twelve months ago the Peter Paddon championship train rolled into Phillip Island undefeated, the - then - two-time Cup champion suffering the only glitch in an almost perfect season at the iconic Victorian circuit after his only DNF of the year. Despite his absence this year, there is a new sheriff is in town, with Sydney’s Kim Burke holding a comfortable points lead heading to Phillip Island, but as past years have shown, the Island can be the joker in the pack..
With Paddon absent and unlikely to defend his championship winning streak this year, Burke has an opportunity to effectively put the title out of reach heading home Sunday night, but there are a couple of drivers that might have their own ideas about allowing him to pave the way to his maiden championship..
One of those - rookie Chris Perini - has shown that he will not be intimidated by the experience of his rivals, nor his relative lack of laps in a Radical, and as he showed at the season opener at Bathurst, he has the speed to take the fight to Burke across the two scheduled 50-minute races. For Perini, and 2017 rookie-of-the-year father-and-son combination Brad and Mitchell Neilson, Phillip Island will be the turning point in the 2018 championship, an opportunity for them to play their ace cards and stake a claim on the title, or find themselves with an almost insurmountable battle against the strength of Burke heading to Sydney in September. A condensed field will arrive at Phillip Island for the traditional end of Autumn event, with a number of the leading teams forced out of the weekend, with commitments elsewhere around the globe, but that won’t stop a repeat of the fantastic race long podium battles that were a feature of the Sandown round three weeks ago. For the new recruits to the Cup, Phillip Island presents a real challenge against drivers with past experience at the Grand Prix venue. With the man who set the pace at the circuit in recent years - Peter Paddon - committed elsewhere, and 2017 runner-up Oliver Smith taking a sabbatical, you could expect 2015 SR3 Phillip Island winner and regular podium finisher Kim Burke to be the pace-setter early, although he will have some motivation.. Radical Australia driver coach and multiple race winner James Winslow will be back at Phillip Island, again alongside The Bend Motorsport Park’s Yasser Shahin, the pair having been the pace-setters at Shahin’s South Australian venue, although without much success in the two 50-minute races. Shahin has shown plenty of pace in an SR3 and could present the title contenders with a real challenge this weekend. 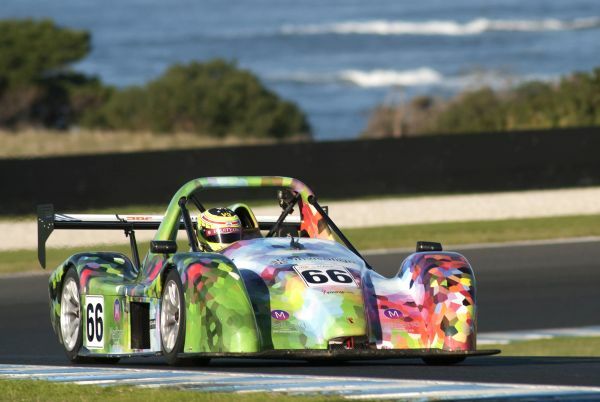 Meanswhile new Radical recruit Nathan Kumar will make his Cup debut, campaigning Michael Whiting’s SR3 under Winslow’s expert guidance, adding another element to the field this weekend. Another driver expected to make an impression on the field, is 2015 Australian Formula 3 champion Jon Collins who after being out of a race seat for a couple of seasons, will jump into the #32 Hughes Racing SR3 alongside his mother Sue for the two 50-minute races at Phillip Island, for a repeat performance of their 2013 effort at Sydney Motorsport Park. Throw Radical Australia Cup veteran and reigning NSW SuperSports champion Rowan Ross and the improving Peter Clare into the mix and you have a recipe for two exciting races across the Phillip Island weekend, a weekend where mother nature traditionally throws down her own joker card just to mix things up, although the advance forecasts are suggesting clear conditions, something which might put Peter Paddon’s 2016 lap record in jeopardy.. Teams will get their first chance to circulate the Phillip Island circuit in anger on Friday, 1 June, with two 30-minute practice sessions scheduled across the day, whilst Saturday will see a single 30-minute qualifying session ahead of the opening race at 12:25pm, and then race two at 10:25am on Sunday. Lamborghini wins in the only one abroad round of the 2018 Italian GT Championship.